I-495/95 to Telegraph Road North, exit 176B (toward Alexandria). Take Duke Street (Rt. 236) East towards Old Town. Follow Duke Street to the 3rd stoplight. Make a right onto Dulany Street. 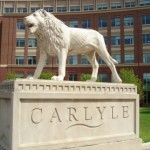 HQ is located in the building on the left at the entrance of the Carlyle development. I-95 South to Route 1 North (toward Old Town). Take a left (east) on Duke Street (Rt. 236). Follow Duke Street approximately five stoplights and turn left onto Dulany Street. HQ is located in the building on the left at the entrance of the Carlyle development. I-395 South to King Street (Rt. 7) east. Follow King Street and make a right on Callahan Drive, which is next to the George Washington National Masonic Temple. Follow Callahan Drive and make a sharp left on Duke Street (Rt. 236). At the next light and make a right onto Dulany Street. HQ is located in the building on the left at the entrance of the Carlyle development. Take the blue or yellow line to King Street Metro station. 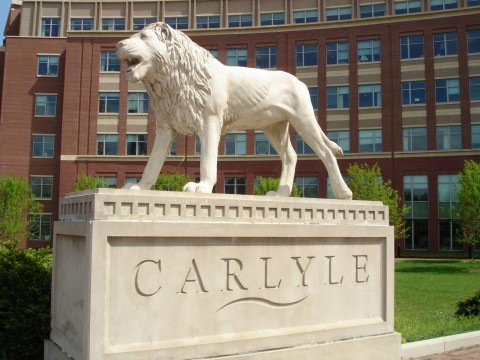 As you come out of the main entrance of the station walk up the street to your right and HQ is in the building across the street on the corner with the lion standing up at the Carlyle development entrance.